All our garden furniture products are constructed with pressure treated softwood. 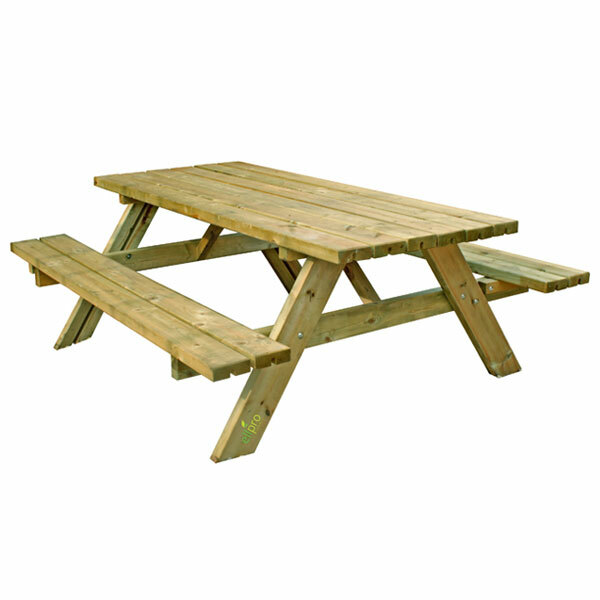 Our rectangle picnic table has a folding seat feature to prevent soiling when not in use. These popular designs are not only suitable for any domestic garden but are durable enough for public areas such as Pubs, Clubs and Picnic Areas.